"On Time ,Very Polite,Clean Work, And Made Sure The Customer Was Happy With Completed Job." "Made Us Fully Aware Of All Options Before We Committed. Prompt Arrival Time. Excellent Job. Thoroughly Recommended." "Great Customer Service. 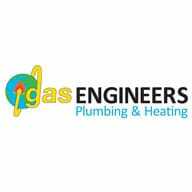 Got The Job Done With No Further Problems"
"All Of It Very Efficient"
"On Time, Tidy & Affordable"
Need a Plumber or Heating Engineer in Fareham?